How many times have you been told that one particular pair of shoes is the best pair of shoes? The most innovative shoes? The most technologically advanced pair of shoes? Are you a bit sick of being sold on shoes? Want to know what really matters? The fact is, you already know what really matters, and it isn’t as complicated as some make it out to be. You want work shoes that are comfortable. You want shoes that are lightweight. And you want shoes that are durable. These are the most important things. And if you’re looking for footwear that has these three most important phases all figured out, then you can finally stop beating your head against the wall in frustration, because if you try out a pair of Ergolite Tech Training Footwear made by CAT, you’ll find what you’re looking for. Ergolite Tech Training puts priorities on three things: The footwear must be comfortable, it must be lightweight, and it must be durable. Your work shoes accomplish these three goals by focusing intently on what makes each of those qualities the best they can be. For comfort, CAT used an Ergo Design Philosophy, which focuses on being anatomically accurate and bio-mechanically considered, in order to provide stability, flexibility, and comfort. And the contoured footbed, which shapes the foot, is breathable, and is shock-absorbent, offers a soft cushioned feeling with every step you take. In order to make Ergolite Tech Training technology incredibly lightweight, CAT uses a cement construction, which is lightweight and flexible right off the bat, as well as upper mesh materials, which are breathable and reduce weight. The result is technology that provides some incredible features without adding weight. 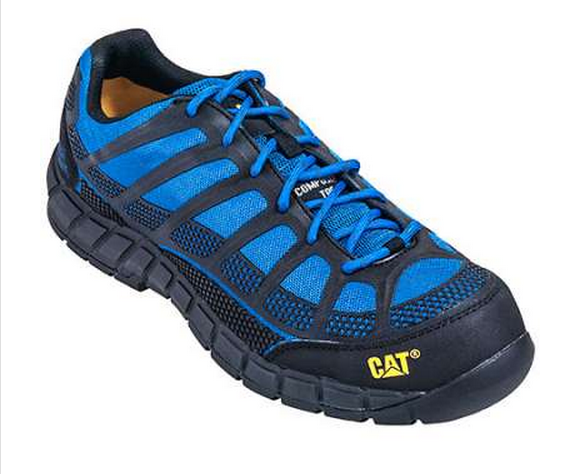 In order to be durable, CAT incorporated a T-1000 outsole, which is engineered for long-wearing durability and abrasion-resistance, as well as including SRX extreme slip-resistance, a best-in-class compound to provide traction and grip. So really, CAT made sure that the best technology was put to good use in creating Ergolite Tech Training technology for their footwear. So when you take a look at a pair of shoes that have Ergolite Tech Training, you know exactly the kind of quality and innovation you’re getting. CAT is using cutting-edge technology to make these the best they can be, so that you can be the best they can be. So take the next step with Ergolite Tech Training shoe technology, you can find them right here at Working Person’s Store. Next articleCarhartt Has You Covered!